OXFORD, Miss. – Twenty-three University of Mississippi undergraduate students are participating in the Ole Miss Summer Undergraduate Research Experience, an inaugural program to expand and enhance undergraduate research and creative achievement. In May, the UM Office of Research and Sponsored Programs announced that 15 Undergraduate Research Grants, including two Faculty Group Grants and 13 Individual Student Grants, were being awarded from among 45 competing proposals submitted this spring by faculty and students. The grants, totaling $51,000, will provide funding for student living stipends, faculty mentorship stipends, travel, lab materials and other costs associated with these student research projects. The 15 grants are being funded by the Office of the Provost with assistance from several other schools and departments. “Undergraduate students can use these research experiences to help really make sense of what they are learning in their different classes and help them put it all together,” said Jason Ritchie, who is an undergraduate research development fellow in the Office of Research. He also serves as an associate professor of chemistry and biochemistry. 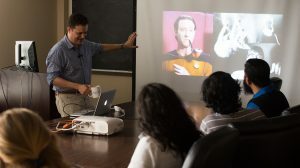 These Faculty Group Grants are intended not only to give students a quality summer research experience but also to give faculty experience running a summer student research program – an experience they can leverage in submitting proposals to funding agencies such as the National Science Foundation. The NSF’s Research Experiences for Undergraduates program, for instance, supports active research participation by undergraduate students in any of the areas of research funded by the foundation. While summer undergraduate research has existed on the UM campus for years, the Ole Miss Summer Undergraduate Research Experience is a new, organized program. The 13 Individual Student Grants fund student-proposed, faculty-mentored research by students in majors ranging from exercise science and international studies to geology and physics. The projects are intended for each undergraduate student to work closely on his or her research with a faculty member over the summer. All of the grants are expected to result in a student-led creative product, such as a manuscript submitted to a peer-reviewed scientific journal, a student presentation at an academic conference or even a creative performance. To enable these outcomes, the program also includes travel grants to help undergraduate students who have completed research to present their work at regional or national conferences. Applications from students are accepted year-round for these grants. 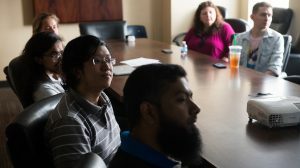 The projects were selected by committees that include research fellows in the Office of Research and Sponsored Programs and various other members of the UM research community. Baseline funding for the Ole Miss Summer Undergraduate Research Experience has been provided by the Office of the Provost. Year one co-funding is being provided by the College of Liberal Arts, the schools of Engineering and Applied Sciences, and the departments of Computer and Information Science, Geology and Geological Engineering, Chemistry and Biochemistry, Physics and Astronomy, and Biology.